Given the land constraints in Singapore where HDB and apartments are small, one needs to possess some mad organisational skills to make sure our home looks neat and tidy. Here are some tips to organise your small space. The simplest way may be, get more storage space and hide every thing you don't want anyone to see in it. Or hire extra storage space from Spaceship and stash away everything you love but don't need. Making new space for new things has never been easier. Welcome to the 21st century baby! Read more: What is Valet Storage? Files, clothes, shoes and bags are some of your items that can be organised according to its colour. This makes it easier for you to find your items easily. For clothes, you can further organise your items by type. Place all the black dresses together or blue shirts together from plain to patterned. Alternatively, you can arrange each item by hues, starting from light to darker shades. 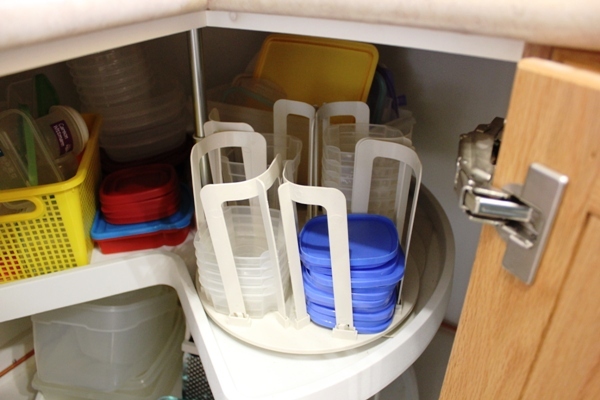 Covered plastic containers takes up a lot of space in the our kitchen cupboards which leaves us less space for more important utensils and crockery that we need in the kitchen. 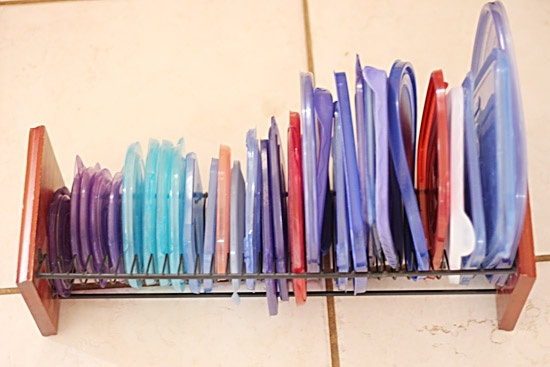 A smart hack will be to repurpose your old CD racks and place container lids on them so that smaller containers can be placed inside larger ones to help you save space in your HDB home. Hanging your pots and pans not only increases the aesthetics of your kitchen (in the likes of Julie and Julia), it also serves to save your much needed cabinet space in your kitchen. In addition, it makes it easier for you to reach the correct pot or pan when you are cooking. Pots and pans can be heavy and those who cook can empathise with the pulling out of a stack of pots just to take the middle one out. Needless to say, it's also a hassle to put it back. Hang them. It saves you space. Most HDB households can only afford one fridge space which makes space in the freezer prime real estate property. We need to keep everything from our frozen fruits to pizza and guilt free days ice cream in it. 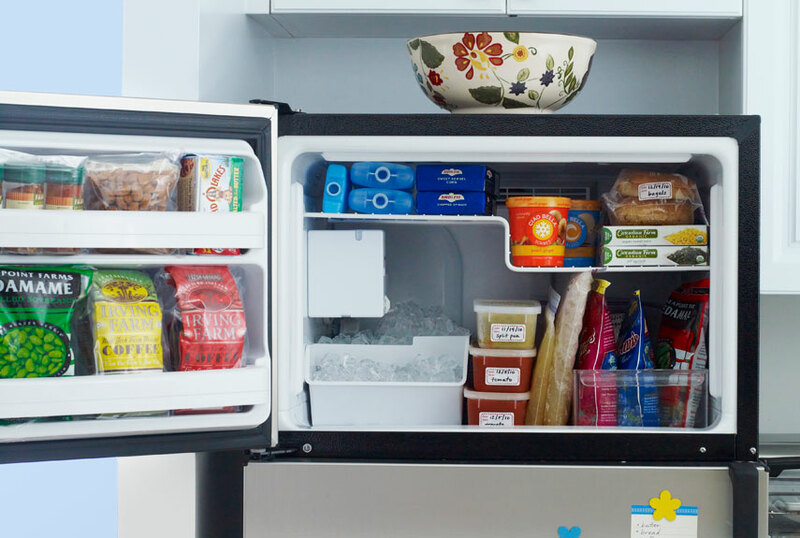 To artificially create more storage space in the freezer, stand your bags of frozen items upright. To give your bags more structure and form, place it in the a hard and preferably mid height container, so that you can still take each bag out easily. On another note, a clear transparent container will work better than an opaque one as we tend to forget the things we don't see. Probably one of the smartest organisational hacks out there. There are many youtube videos that show you how you can create your own lazy Susan for your kitchen cabinet. I think it's best for your dry items. They tend to expiry before you can finish using them and are so easily replaced that when you forget about them, you just buy a new packet. I like to store my dry ingredients like flour and salt in clear canisters and label them with their expiry date. After which, they are placed on a lazy Susan, so I simply have to give it a spin to see what I have in the kitchen before ordering additional items. This makes it more accessible and putting it back after use is much easier. Cutting down taking out and putting time makes my food creation even more delightful. Till next time, have a blast!